These are instant education downloads (ebooks). You can read more about these ebooks at The Educators' Domain. 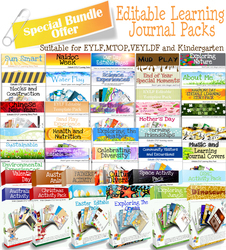 This massive offer includes all the Learning Story packs. Find more resources at Educators' Domain.